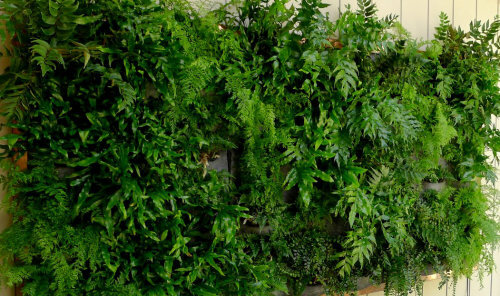 Here is a collection of ferns that are suitable for growing in green, living walls and vertical gardens. They are all tough, very hardy, reliable even with restricted root space and look great all year around! They will of course need watering and a light, regular feed but once established they are drought tolerant, as long as they are not allowed to dry out completely. Water retaining granules, as used in hanging baskets, are ideal for those units that need manual watering. If ordering more than one collection let me know if you want multiples of ferns or different types.